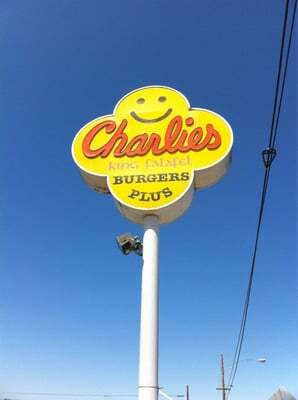 Driving through the streets of Hayward, many small burger joints entice me with their siren’s call. You know the one: “Try me! I’ll deliver all the drippy, cheesy, beefy goodness you remember from that shack down the block growing up.” For me, these tempters recall the Charlie’s King Falafel in Old Orcutt, just outside Santa Maria, CA. Barely big enough for one person to order at the register at a time, young Becca always had the queen size and it always satisfied. I have no idea if their falafel was any good. I had no idea what falafel was until well after I moved away to college. I paint that nostalgic picture to introduce a new series from the Gourmez. My resistance has failed, and I’m going to try each and every one of those burger joints in Hayward, so help me! Before you ask, yes, I’ve tried the iconic Val’s. It’s three blocks away from my apartment. But I haven’t been impressed. 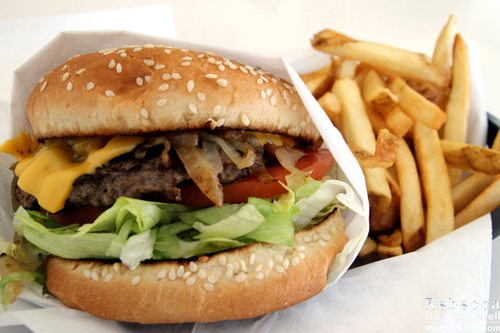 So if Val’s is the be-all end-all of burger heaven for you, well, our taste buds might not be best buds. What makes a great burger joint? It’s more than just the patty for me, though the meat’s freshness and flavor is the most essential factor. What else matters? Quality of the bun: if it’s falling to pieces or mush before I’m done, that’s a problem. Grilled is appreciated as well. Cheese melt: That slice of cheese better be dripping all over the patty before you serve it. William’s Gourmet Kitchen in Durham, NC, shows off its melting cheese. Quality of the toppings: I like mayo, and I like it sloppy. I also want lettuce, tomato, onion, and maybe bacon, jalapeno, or avocado depending on my mood. Regardless, the ingredients must not make me wonder when the restaurant had its last produce delivery (this is my main problem with Val’s). Fries: Anything but steak-cut, boring, flavorless fries makes me happy (Val’s problem #2). Shake: I like to sip at my straw and actually get some shake through it, but I accept that the thicker the shake, the happier most people are, though I must maintain that such shakes should just be called ice cream (Final Val’s note: I haven’t had their shakes. I suspect that’s my biggest problem). You have my criteria. And I have my first burger joint review for you. Either way, it wasn’t busy on a weekday afternoon. It took about 5-10 minutes to complete my order. 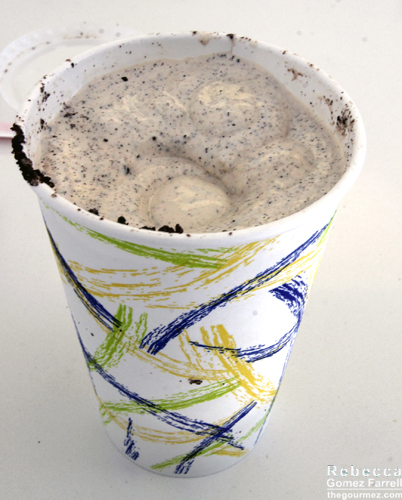 Shake: I ordered cookies and cream, though they have a good variety of shakes, including fruity ones like pineapple. There was no way that shake was going up a straw, and it tasted too strongly of vanilla; I think the flavors are just mixed in rather than being from difference ice cream bases. As it melted, it became more appealing. Patty: Great taste from the griddle, but nothing particularly special to report. A little on the dry side. Bun: Sesame seed and toasted on the griddle. The burger was too wide to pick up easily, but the bun held up until the last two bites. Not bad. Toppings: Falling out of the burger all over the place! They included two substantive hothouse tomato slices. I read advice to request the grilled onions, and I’m glad. They came thinly sliced and pretty tasty. The chopped iceberg lettuce was tossed in mayonnaise, which was unique and made for an appealing sloppiness. But those of you who aren’t into mayonnaise may be overwhelmed. Fries: Thick-cut with the peels on. Very little seasoning. I’m salt-sensitive, so when I’m adding it, you know those fries are flavorless. Worth eating, but plenty of room for improvement. Especially for the fries. 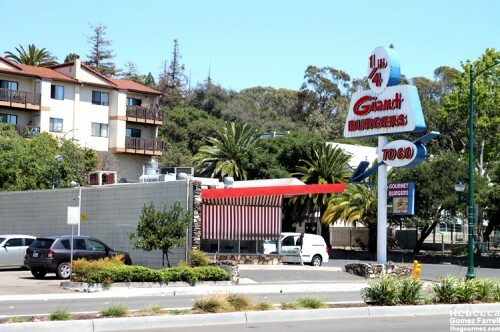 I’m going to enjoy this series – I’ve often wondered about several of those places around Hayward. I hope you find some good local burgers out there. 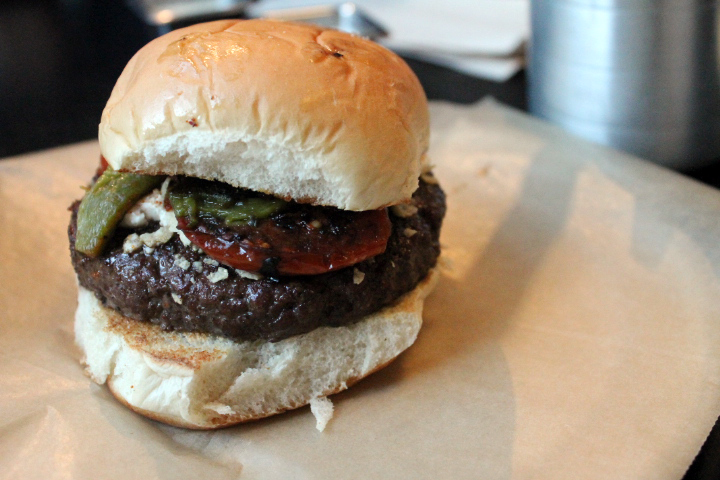 The Research Triangle Park area does have some good burger joints. 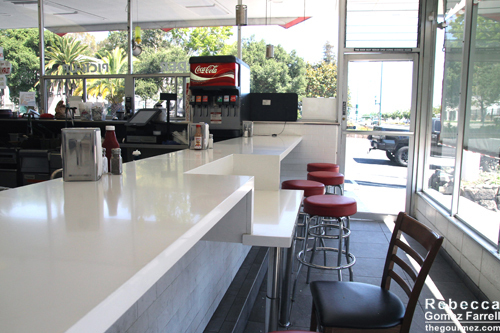 You must try Val’s Burgers. I actually mention Val’s a fair bit in the post because I haven’t been impressed! I think the fries are the main problem for me, and that I haven’t tried a shake yet. 😉 But it may also be their “NO PHOTOS” sign…plenty of items to turn off this foodie. But I do plan to try them again sometime. Burgers have been fine. I think my expectations were too high. I’ve only eaten at Val’s once and it was a long time ago, but I remember not being all that impressed either. Have you tried Barney’s in Oakland? Haven’t heard of it! A good joint? +1 from both of us for Barney’s. We haven’t eaten there in ages but OMG it’s good! Don’t forget Blvd Burger on CVB. Almost walking distance.